This is a little diddy that I like to do because of two reasons…. A) I am too cheap to buy potato chips and B) Why buy if you can make your own majestical creations to your own liking? You want Cajun Potato Chips but no one makes them? Make your own batch seasoned with Homemade Cajun Seasoning! You want super Garlic Potato Chips? 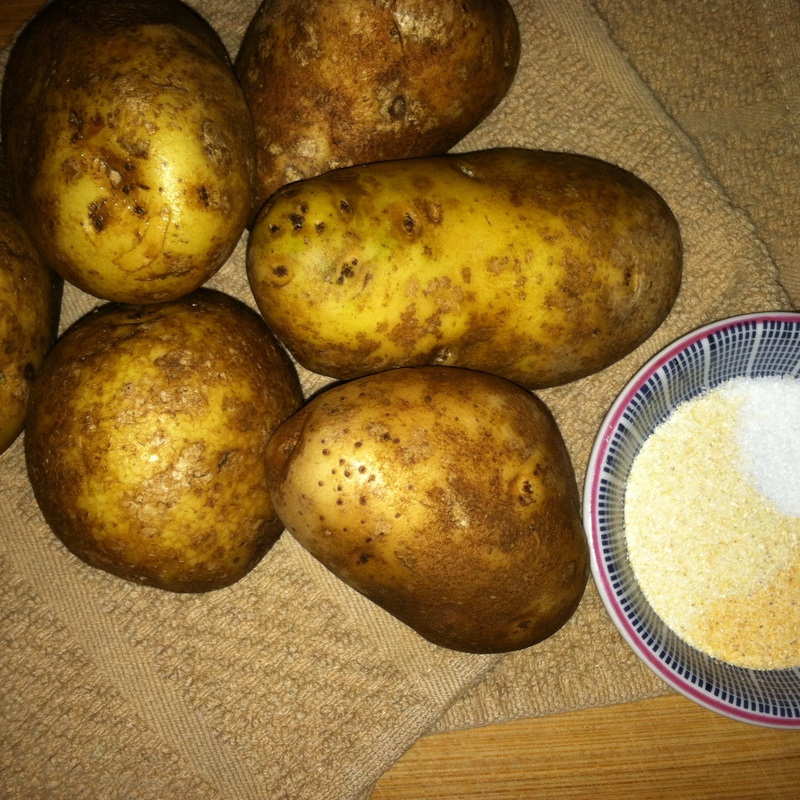 Make you own batch with combination of garlic powder and salt! You want a zesty Lemon and Rosemary Potato Chips? AGAIN, make your own batch using a combination of salt, lemon zest, and fresh minced rosemary! You guys, this is prime time to make what you want… based on your own taste buds… based on your every whim… and because dagnabbit… WE CAN! Repeat after me… I LOVE GARLIC AND I AM NOT ASHAMED! I LOOOOOVE GARLIC AND I AM NOT ASHAMED! 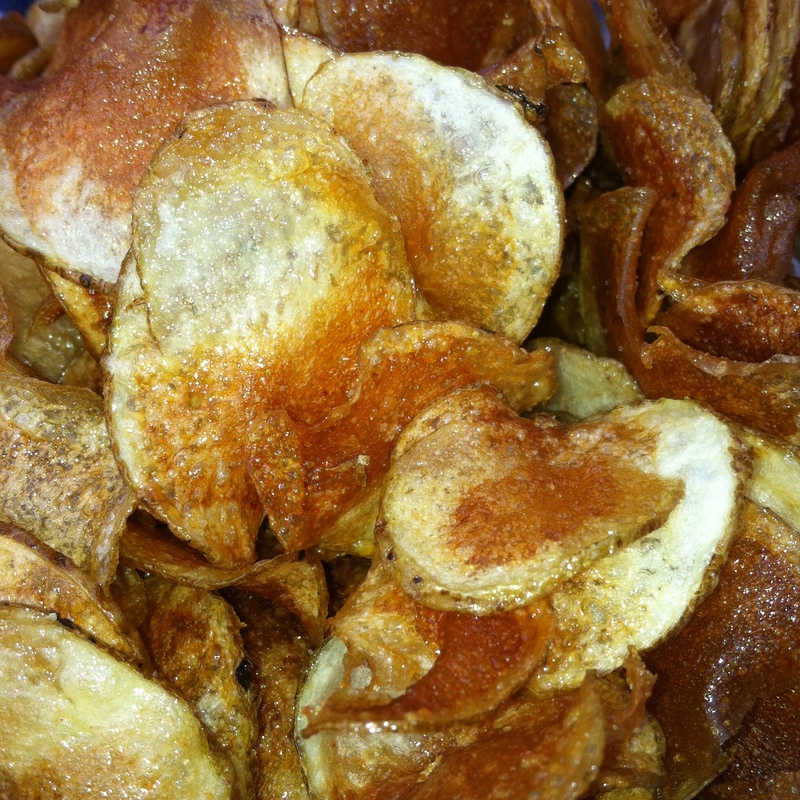 Okay… that’s just the type of potato chips I made with this batch and I’m sorry that I am not sorry I made you say that… look at it this way, when you make your own potato chips using this recipe I will chant right along with you for your own special seasonings! See? All is well! 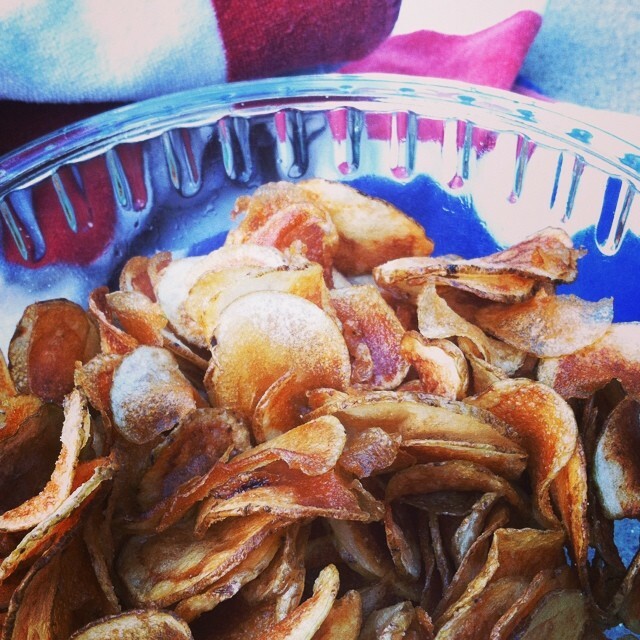 Using a mandolin, thinly slice your potatoes as thin as you can get them…. 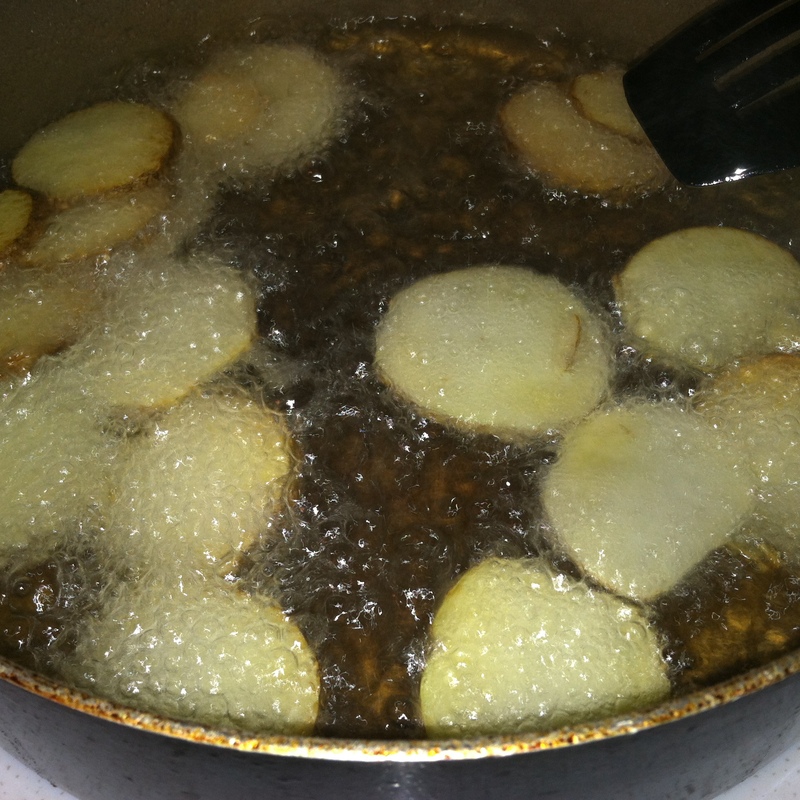 Heat oil in a large pot over medium-high heat then toss in a hand full of the potato rounds at a time. Allow to fry for about 5 minutes or slightly less, you want them to be nice and golden crispy fried little gems… be sure to keep an eye on them so they dont burn, but you dont want them too soft at the same time. This is why its important to slice them as thinly as possible! Toss with your salt and seasoning of choice then serve! 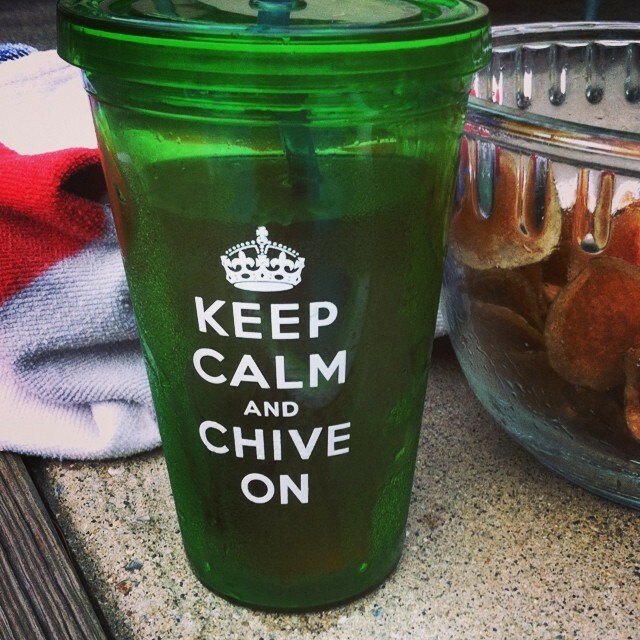 I prefer mine poolside with a slice of ‘Merica but by all means, do as you please!!! !